Unless you have previous home remodeling experience and construction management skills the answer is probably no. Remodeling a room or home is a large enterprise and takes a lot of knowledge and communication skills. Acting as your own general contractor also requires skills in managing and working with subcontractors that is not always easy to do. Each subcontractor runs his or her own business and thus marches to their own drum beat. As a result, it can be challenging to get them to show up to the jobsite when you want them to, and to keep to their original quotes. A general contractor, on the other hand, has the experience to better manage them. Also, a general contractor is viewed by sub-contractors as a good source for future work so they are more likely to execute on time and budget. 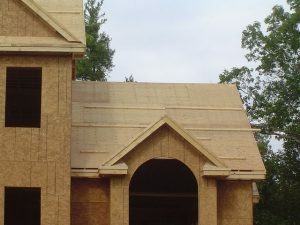 With a homeowner acting as his own general contractor, the subcontractors know there is no follow-on business with the homeowner after the project is completed. So they are much more apt to use a homeowner managed home remodeling project as filler work. Yes, acting as your own general contractor can save you some money, and thus it is a tempting proposition. However, if you lack the experience in managing such a project, expect for a great deal of frustration, and you may end up not saving as much money as you think. In some cases, the project could go so poorly that you may end up spending more money than if you hired a general contractor. It is also important to keep in mind that a subcontractor will much more likely give a general contractor a discount for his work as an incentive for the general contractor to hire him for future projects. Yes, the general contractor will keep some of the savings for himself, but the homeowner will likely benefit as well. I have personally acted as my own general contractor on numerous home building and remodeling projects, and it is not my profession. I’m an electrical engineering by education and career. However, I acquired a great deal of experience as a kid building homes and home additions while working for my father. So when I bought my first home at 23 years old I purchased it unfinished. Though the home was brand new the upstairs was completely unfinished. All it had was the exterior walls and they were not insulated or sheetrocked. I acted as my own general contractor, and quite frankly did much of the work myself, including the framing, electrical, plumbing, heating, insulating, tiling, and even sheetrocking. I wound up flipping that home two years later and repeated the process. I then went on to build a room addition and a separate garage addition on my next home, and then acted as my own general contractor building a vacation home. So suffice it to say, I’ve been around the block when it comes to working with subcontractors and getting them to show up to the jobsite per the plan and sticking to their quotes. Admittedly, it involved a lot of pestering and cajoling to get them to do their job, and many frustrating days. However, the projects always got done nearly on time and budget and it was always a profitable venture. But again, I warn those who attempt to act as their own general contractor who has no previous construction experience or managing experience with subcontractors. Acting as your own general contractor is somewhat akin to selling your own home. There’s a lot more work and headaches to it than you think, with the exception that the financial payback is not as rewarding. I have some experience there as well, as I am a licensed real estate agent in the state of New Hampshire. If you decide to act as your own general contractor, be prepared to have to address construction defects with subcontractors and deal with disputes between you and them. You may also very likely have to deal with disputes between sub-contractors. Plumbers and framers are often at odds with each other because plumbers don’t hesitate to cut floor joists to run their plumbing pipes. Often building inspectors will insist that the framing be fixed or beefed up while doing the rough plumbing inspection. This requires the framing subcontractor to come back to the jobsite. Also, having multiple contractors working together on the jobsite, e.g. plumbers and electricians, creates issues that you will need to referee. The smaller the size of your home remodeling project, the more likely you can manage the project. For example, having a deck or patio constructed typically only involves one or two subcontractors. 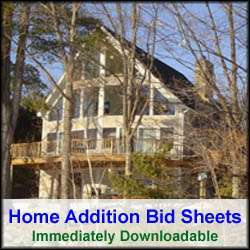 For this size project the average homeowner can fairly easily manage the project. Even a fairly straightforward kitchen remodeling project can be managed by the go-getter homeowner as much of the work, including the cabinets and countertop installation, is done by one or two subcontractors. However, when you get into major room additions, or in the construction of a new home, it is best to hire a professional general contractor. Both projects require a large array of subcontractors that takes a lot of planning and coordination. Another consideration when acting as your own general contractor is that you will need to make sure all of the building permits are pulled, the requisite inspections are done when required, and the occupancy certificate obtained. You will also need a complete set of building plans to obtain your building permits. Moreover, you’ll need to deal with the general cleanup of the jobsite and providing temporary dumpster and toilet services. You will also need to deal with the ordering and delivery of materials. You will not want all the materials required for your home addition or construction project to show up at the jobsite at once. So you will need to work with the building material company to work up a phased delivery schedule. If you decide to act as your own general contractor, make sure to get a least three quotes for each aspect of the home construction project. This includes; excavators, foundation installers, framers, plumbers, electricians, insulation installers, drywallers, painters, finish carpenters and HVAC installers. Also make sure to check references and confirm that they are licensed and insured. Don’t always select the lowest bidder. Weigh the reference checks and understand what materials will be used with each proposal. Often it is the middle priced bid that is the one to go with. Also make sure you understand their availability to see if it lines up with your schedule. If at all possible include start and complete dates in the various contracts with the subcontractors. You will also need to obtain liability insurance and material jobsite theft insurance during the construction. To conclude, there is a heck of a lot of things to think about when acting as your own general contractor on a major home remodeling or construction project. If you don’t have previous experience in the construction business and managing subcontractors, I highly advise against it. Though the dream of obtaining significant cost savings is attractive, the reality is you will most likely not save very much, if anything at all. And quite frankly, acting as your own general contractor could cost you more in the end, both in money and frustration.